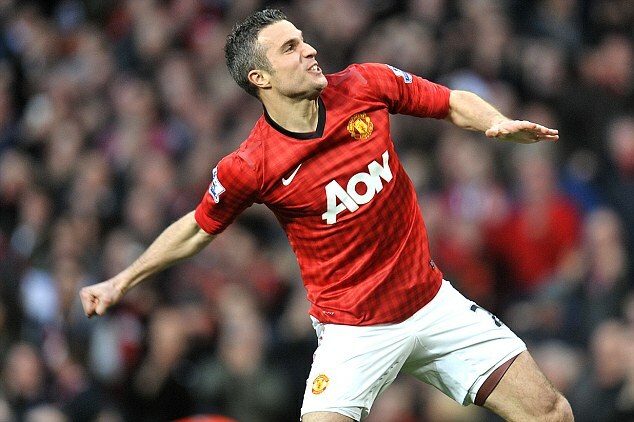 Have you ever wondered why Robin Van Persie have been injury for close to two seasons? For a notoriously injury-prone player, Van Persie missed almost an entire year of action in his final five years at Arsenal with a succession of knee and ankle problems. But in the last two seasons, the Dutchman has stayed fit and healthy, allowing him to concentrate on what he does best - scoring goals. 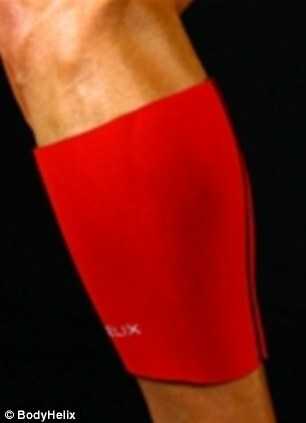 It is understood that Van Persie's secret weapon in his fight to stay fit - an American-made elastic 'compression sleeve' product called the BodyHelix. Van Persie started wearing the fabric on his thighs and calves during training and matches in February 2012 - and has not suffered an injury since despite playing back-to-back seasons of 48 club matches. It is also understood that the 29-year-old also recommended the BodyHelix to strike partner Wayne Rooney after he suffered a gruesome gash to his thigh against Fulham back in August. No wonder, Rooney returned to the United side within a month, despite the severity of the injury. The makers of the BodyHelix say dozens of elite athletes in the United States, including NFL and NBA stars, wear the sleeves on their arms and legs but its use by Premier League footballers is a well-kept secret. They claim their product compresses soft tissue around the muscles, tendons and joints, reducing vibrations from heavy impact with the pitch and therefore reducing stress. When someone is having diabetes, his blood sugar level tend to be high most of the time, a condition known as hyperglycemia.